Psychic mediums are those who claim to have special abilities to communicate with spirits of the dead. They seek to prove that that the human personality continues to exist even in the “afterlife”. Their main occupation and means of livelihood is to help families of the deceased communicate with their loved ones who have passed on. Mediums take their work seriously and regard themselves as a class distinguished from fortune-tellers and other psychics. However, there is not much evidence that these individuals really have the power to break through to the “other side”. According to the followers of this trade, “Psychic Mediumship” is considered to exist in two forms – Physical and Mental. Physical mediums conduct private séances to link spirits with the living world by way of physical manifestations such as raps, audible voices, body movements etc. It is also claimed that these mediums, while performing psychic rituals, are able to conjure materialized figures of the dead, though confirmation of such phenomenon has never been established. Mental mediums, on the other hand, use their minds to perform their psychic abilities of contacting the “afterlife”, which include Clairvoyance – when they see the spirit, Clairaudience – when they hear the spirit, and Clairsentience – when the presence and thoughts of the spirit is sense. Though mediums are also considered to be psychics in the sense of the term, the main difference between regular psychics and mediums is that psychics do not claim to communicate with spirits of the dead. They, on the other hand, perform certain activities that involve predictions and postcognitions. For example, while “psychic detectives” claim to help solve crimes by employing their psychic investigative and sensing abilities in providing information such as when, where, and how; psychic mediums would rather try to contact the spirit of the victim, in an effort to identify the criminal. 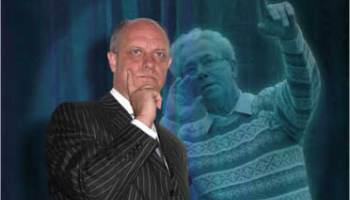 While scientists and other skeptics discard the theory of psychic mediumship and raise numerous questions on its credibility, there are some people in history who, and incidents that have continued and managed to baffle many experts and men of science. One of the most famous among the earliest psychic mediums is Helen Duncan, born in 1898. Her main area was in physical mediumship in which she held séances at home and spiritualist churches. Duncan’s rise to fame is contributed largely by her alleged ability to conjure physical manifestations of the dead. She was arrested a number of time for fraud, vagrancy and conspiracy during her career. However, she continued to practice her trace till 1944, and there are still many incidents concerning her psychic abilities that remained unexplained till today. Daniel Dunglas Home, born in 1833 in Edinburgh, Scotland, is considered to be the most remarkable psychic physical medium of all time. He conducted several séances during his career which lasted till 1873, in which many inexplicable events took place. Home is best known for his alleged ability to float on air or levitate. After conducting a series laboratory condition tests, even the noted scientist, Sir William Crookes found Home’s many performances baffling and credited the man for being gifted. Today, the most well-known medium has to be James Van Praagh, who’s made numerous appearances on NBC’s the Other Side; been featured on the Dateline, the Today Show, ABC’s 20/20; and been interviewed on Oprah and Larry king Live. His books such as “Talking to Heaven and Reaching to Heaven” and “Healing Grief” also continue to hit the bestseller lists. Psychics Live http://psychics-live.com/ presents articles about psychics and how to uncover your psychic abilities.